International health planners often design programs based on the assumption that recipient nations share the same “level playing field” with regard to conceptions of health, illness, and at-risk populations. This volume challenges that perception, analyzing the outcomes of humanitarian projects that fail to recognize local ethnic and national identities, as well as the tensions between international health agencies’ mandates and powerful centralized government agendas. Case studies are drawn from Africa, Asia, and the Caribbean. Linda M. Whiteford is professor of anthropology at the University of South Florida. She is widely published on social aspects of health and illness. Lenore Manderson is professor women’s health at the University of Melbourne. She is author of Sickness and the State: Health and Illness in Colonial Malaya, 1870-1940 and coeditor (with Pranee Rice) of Maternity and Reproductive Health in Asian Societies. 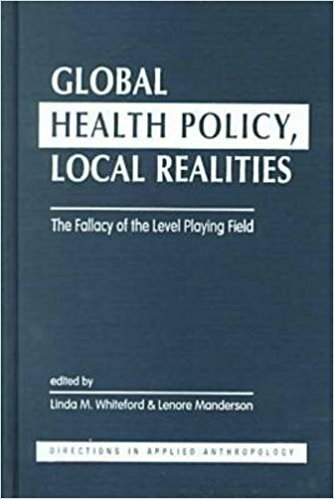 Introduction: Health, Globalization, and the Fallacy of the Level Playing Field—the Editors. The Politics of Child Survival—J. Justice. Administering the Epidemic: HIV/AIDS Policy, Models of Development, and International Health—R. Parker. Local Identity, Globalization, and Health in Cuba and the Dominican Republic—L.M. Whiteford. Health Care from the Perspectives of Minahasa Villagers, Indonesia—P. van Eeuwijk. The King’s Law Stops at the Village Gate: Local and Global Pharmacy Regulation in Vietnam—D. Craig. The Business of Medicines and the Politics of Knowledge in Uganda—S. Reynolds Whyte and H. Birungi. Bodies Transported: Health and Identity Among Involuntary Immigrant Women—L. Manderson, M. Markovic, and M. Kelaher. Poverty, Pity, and the Erasure of Power: Somali Refugee Dependency—C. Zarowsky. Ethical Issues in Human Organ Replacement: A Case Study from India—P.A. Marshall and A. Daar. Does Authoritative Knowledge in Infant Nutrition Lead to Successful Breastfeeding? A Critical Perspective—A. Castro and L. Marchand-Lucas. Reforming Routines: A Baby-Friendly Hospital in Urban China—S. Zhang Gottschang. International Health Research: The Rules of the Game—J. Trostle.